Omni Cable 18/4 Multi-conductor instrumentation tinned copper cable has 100% aluminum Mylar tape shielding with tinned copper drain wire. It has a voltage rating of 300-Volts. The cable with S-R PVC insulation, has an insulation thickness of 0.010-Inch. The PVC jacket in gray color, has a thickness of 0.035-Inch and nominal diameter of 0.227-Inch. It withstands a temperature of up to 75 deg C. It is suitable for computers, communications, instrumentation, sound, control, audio and data transmissions. 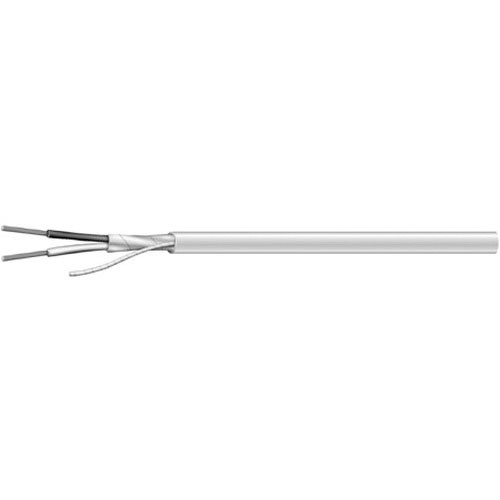 The instrumentation cable is UL listed.